Here is another quick post to wish you all a very Happy New Year! Wishing you all health and happiness. Here are some quick place cards I made for our New Years Eve supper (well, late supper). These were fun and easy to make, mostly die cutting. 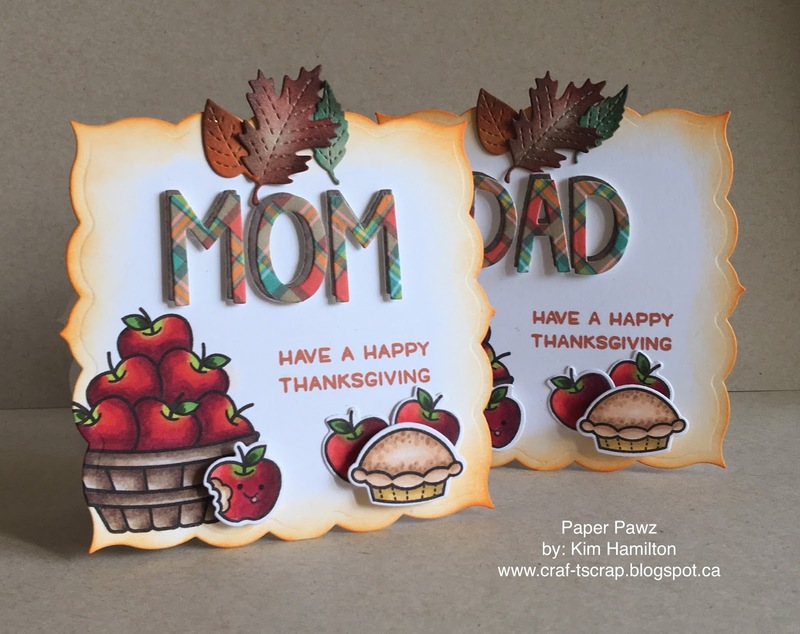 I used Spellbinders dies for the notebook base and the oval for the names. The background stamp is an older Hero Arts Confetti woodblock (that I love) also from Hero Arts is the 2017 stamps and the name/letter dies. 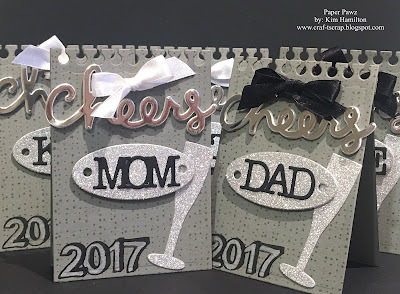 Lawn Fawn "Cheers" die and the champagne flute is by Papertrey Ink. Enjoy your New Years Eve, please be careful on the roads (we have a storm here but luckily my family all live very close). Thanks for 2016 and fro taking the time! 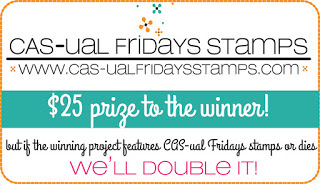 Time for another challenge over at the CAS-ual Fridays Challenge blog! 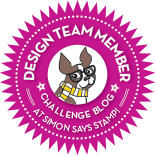 We are Celebrating for this Challenge! I love using grey and white for a card, I find the color combination classy. I decided to make a shaker, after all New Years is around the corner and what better then confetti to celebrate! I used StazOn Opaque Cotton White with my Misti for the "Bravo" stamp and the "Exclamations" stamps on the inside panel. 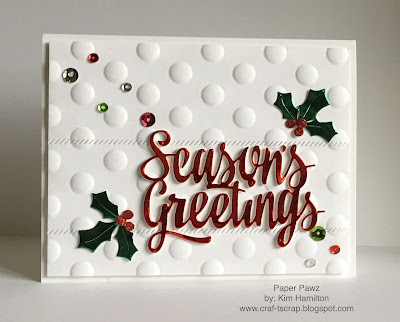 I was able to stamp multiple time thanks to the Misti to get a crisp white sentiment. For my shaker I used the Fun-Fetti Fri-dies in silver, silver glitter and turquoise glitter papers and added some Lucy's little things Winter Mint sequins. I wish all of you a very Happy 2017!!! A quick post today to wish you all a very Merry Christmas. I hope you all have time with family and friends. The holiday season is a wonderful time to reflect and simply be happy. I know that I am enjoying mine tremendously with my loved ones! 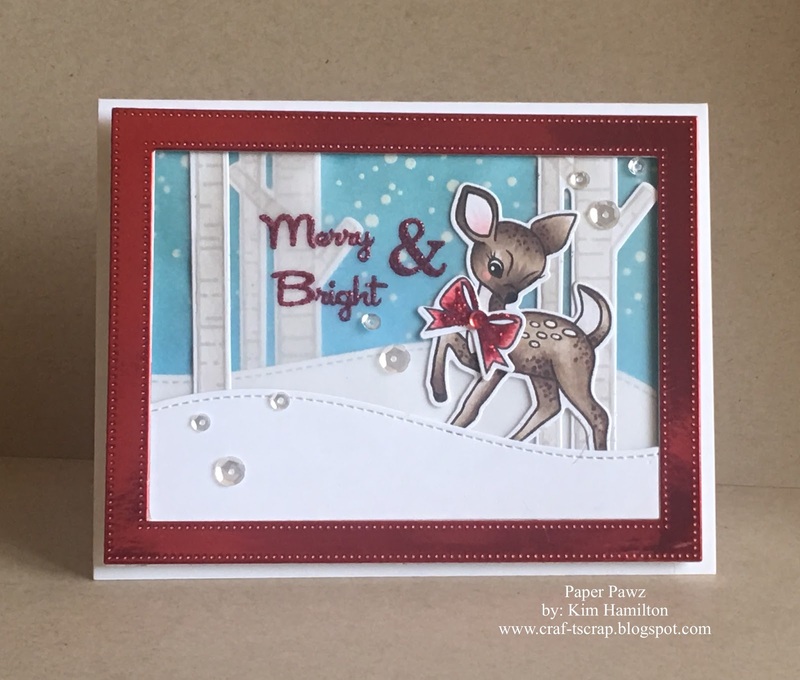 This card features Neat and Tangled products and was my husband's Christmas card. It sincerely is the most wonderful time of the year!!! The following project is a card that I made for the daughter of a good friend. She loves scene cards and these polar bears by MFT fit the bill perfectly! I used many different companies to build this card. The frame used to die cut the base panel and the subsequent layers is by Avery Elle (Wonky Stitched Rectangle). The mountains are by Mama Elephant and the snow hill is by Lawn Fawn. I coloured my bears, the ice and background trees with Copics then put the entire scene together and popped up my bears with foam tape. I die cut a few MFT hearts and uses Christmas Red Stickles on them. 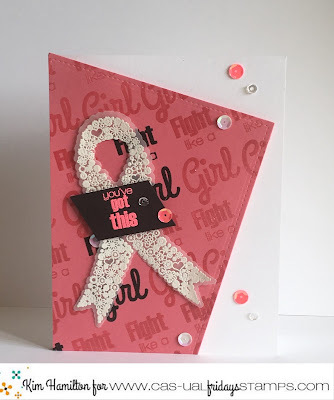 I finished by stamping my sentiment by Papertrey Ink and adding some Pretty Pink Posh sequins! 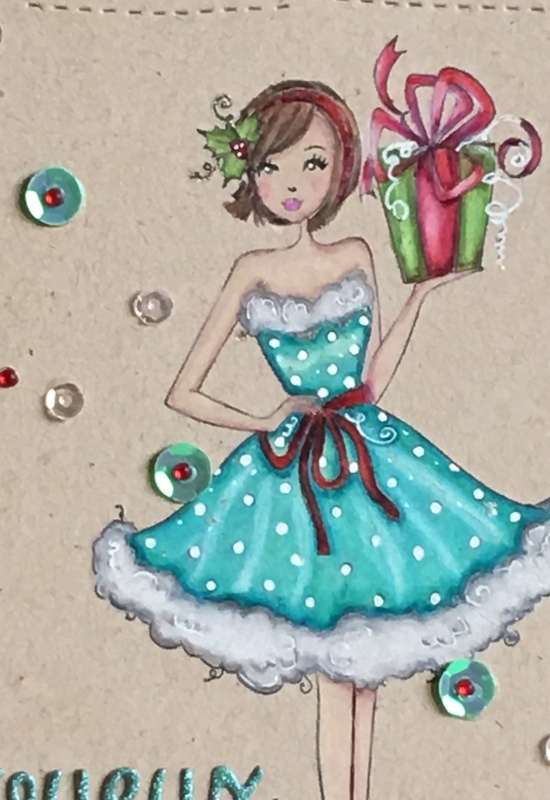 This is the time when many crafters are in the process of completing last minute holiday projects! I am certainly not the exception! I am sharing a tag today that I made for my husband, I usually like to mass produce tags and have them on-hand for any last minute gifts. 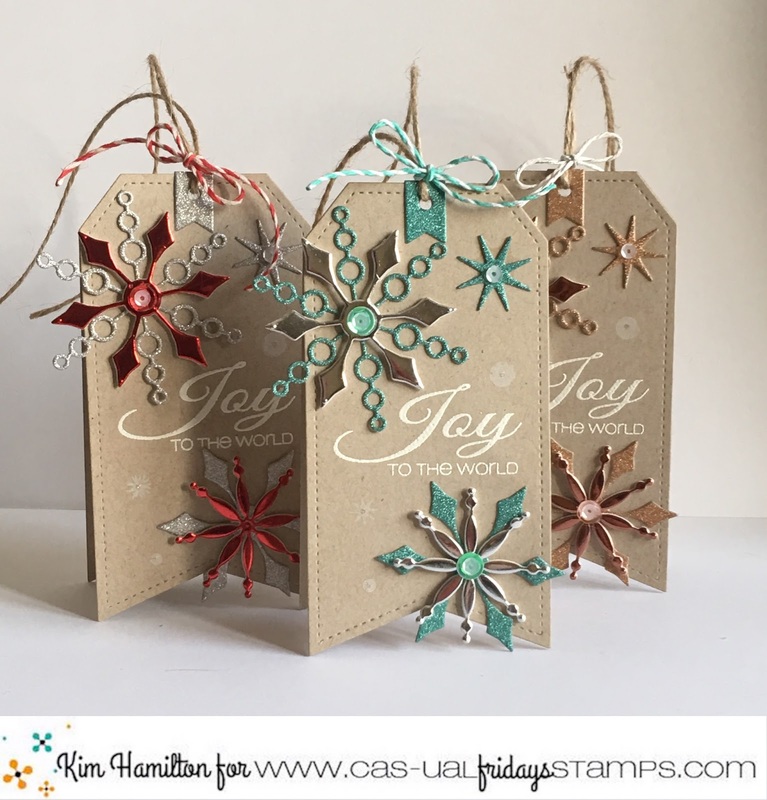 But, I figured that he should have a special "one and only" tag and the Mistletoe and Holly set by CAS-ual Fridays was perfect!! 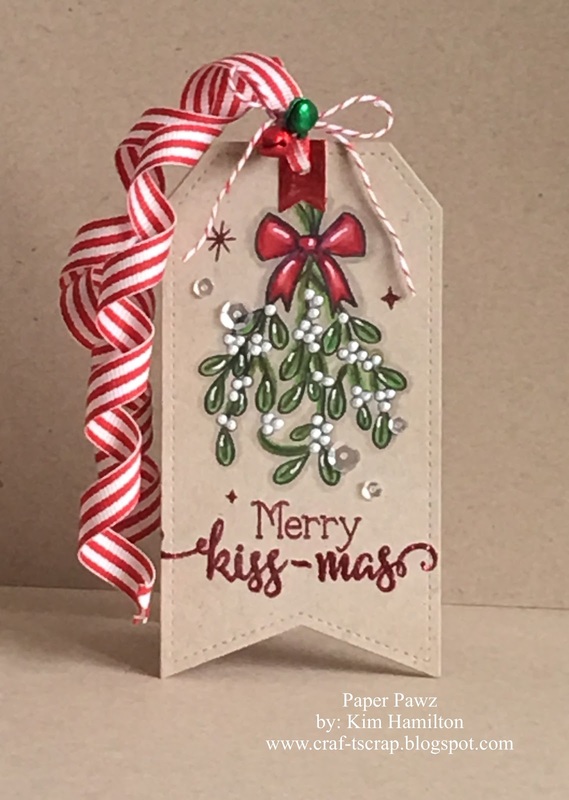 I stamped the mistletoe in MFT Black Hybrid Ink and used my trusty Prismacolor Pencils to colour in the image. The white berries looked ok with the pencil but I added liquid pearl drops to make them a little more dimensional. 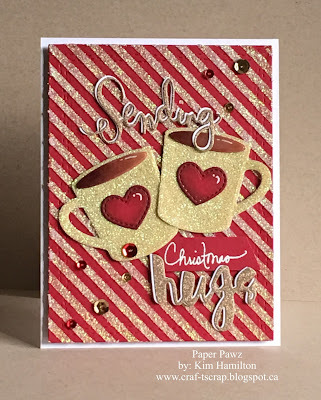 I then stamped my sentiment with VersaMark Ink and used Red Glitter embossing powder by Ranger I believe. Put my tag together added some festive ribbon and bells and, of course, Sparkling Clear Sequins by Pretty Pink Posh! I will be back this week with a few more holiday projects before Christmas! Happy Friday all! One more week of work for me then I am lucky enough to have a two-week break with family and friends. I can't wait to recharge my batteries for 2017! I always love a new challenge over at CAS-ual Friday's :) My project this week features the fantastic Funny Flakes dies. 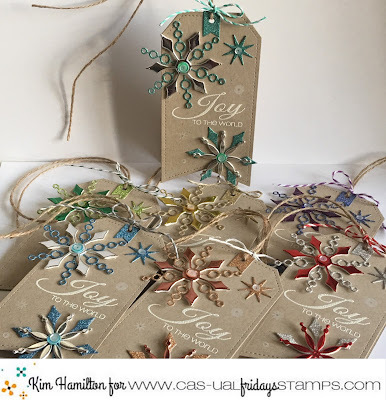 I am simply in-love with these dies, the design of the snowflakes is amazing! This is my second project this week featuring them and I will have more between now and Christmas! 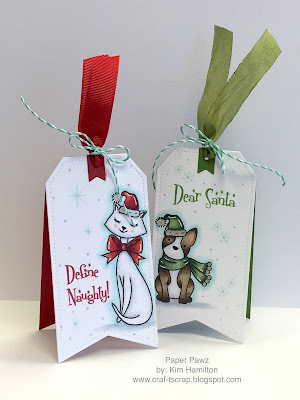 I made seven of these tags in a variety of colours, I just couldn't stop! 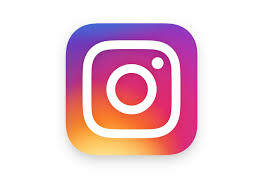 Lol I have a picture lower in this post that shows the seven tags. I used a variety of glitter paper and shiny cardstock for my snowflake dies and I decided to use Kraft to really showcase the design of those dies. The sentiment is from the fantastic CAS-ual Friday's Snowy Sayings set and I embossed all of the sentiments in white. I put a variety of sequins in the centre of the snowflakes, some twine and voila! I have been so enjoying the Funny Flakes die set by CAS-ual Fridays Stamps :) This card is for one of our favourite couples! 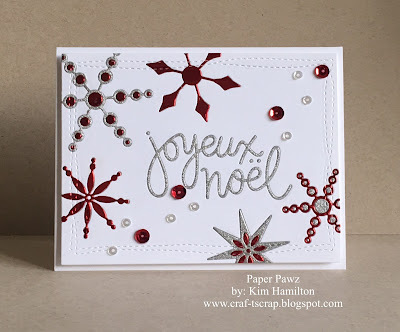 I did inlayed die cutting for this one with a mix of red mirrored cardstock and silver glitter cardstock. I really love the effect that is gives the snowflakes :) The sentiment is a die by Simon Says Stamp, always tough to find french sentiments I love the scale of this one. I topped everything off with sequins! 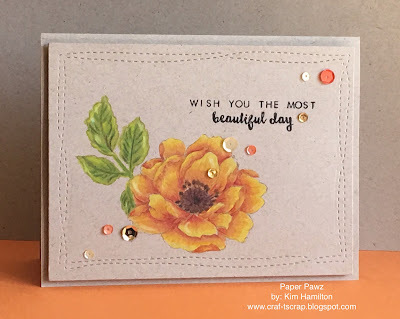 I am seriously in love with Prismacolor on Kraft! 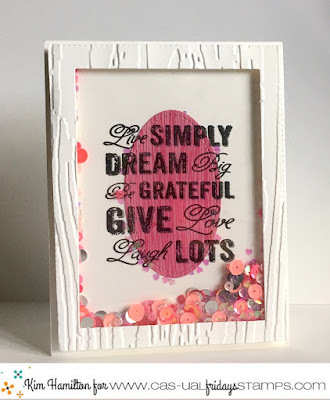 This stamp is by Stamping Bella, I have always loved these bellas and the design of them has changed slightly over the years - they have more detail now. This card is for a teenage girl, so I felt that the teal/pool color was the "trendiest" choice... Although I adore the red/pool mix for Christmas. The sentiment is from CAS-ual Friday's and I die cut it from MFT glitter paper (my favourite glitter paper). Here is a close-up of the Bella. 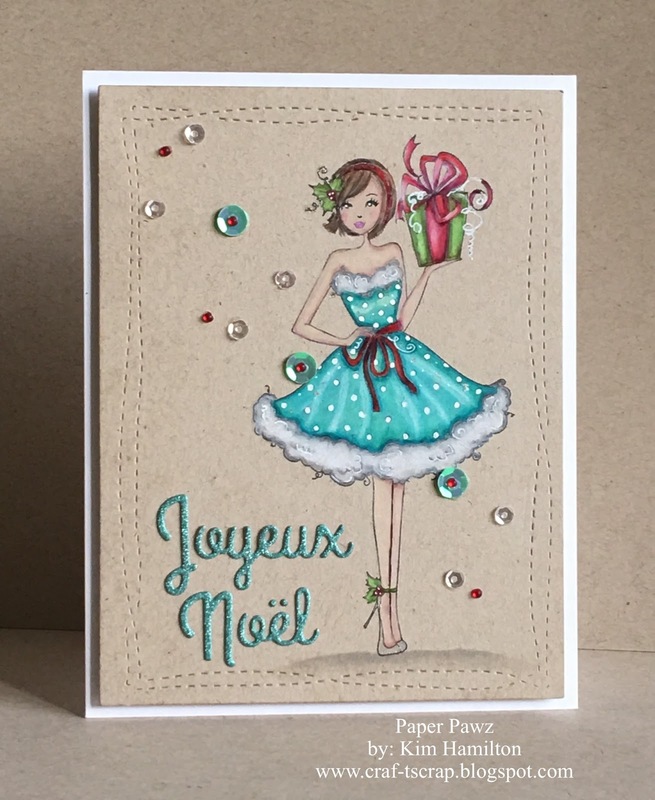 I finished the card off with a mix of sequins and embellishments. 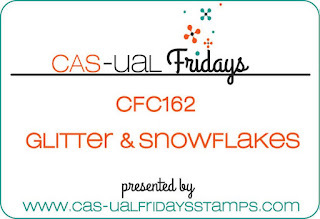 This challenge is all about Glitter and Snowflakes! I really love the holiday season, I really just don't like the snow that follows in January. Snow from now until January 1 to me would be great then - no more! Lol! I used the Cas-ual Friday's Snowflake Greetings set for this project. 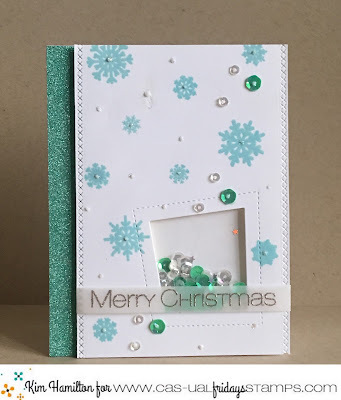 I simply love aqua for winter/holiday themed cards so I turned to my Soft Pool die ink for the Snowflakes and I managed to find some matching glitter paper in my stash for the side of my panel. I thought adding a shaker window would give it a fun element with matching sequins. 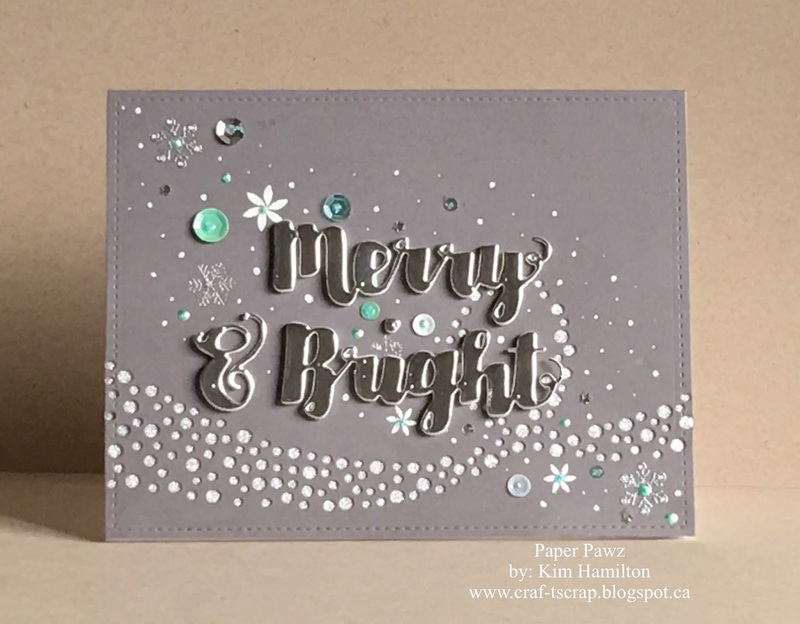 The sentiment is silver embossed on vellum also from the Snowflake Greetings stamp set. Happy Sunday all, even though it wasn't Thanksgiving for me I was still able to benefit from some on-line shopping and some excellent Black Friday deals! 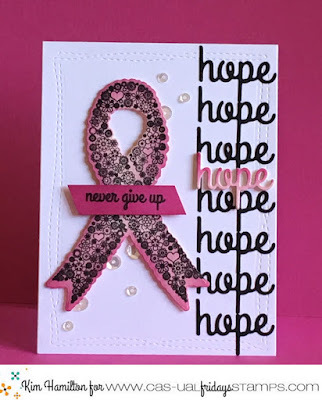 This is a card made with one of the Art Impression stackers (that I am in love with). They are hard to come by as they are usually out of stock in most places, I was so excited to be able to get my hands on two of the Christmas ones. I used the Reindeer Stacker for this one. There is something so nice about Prismacolors on Kraft paper. In hindsight, I would have used a paler colour for the bodies of the deer but I still think they are just the cutest! 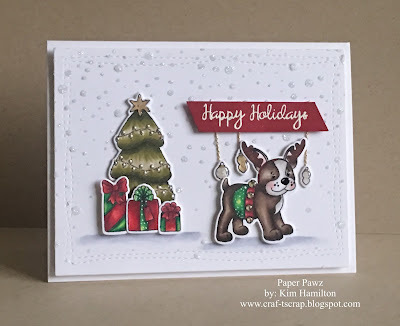 I used a Lawn Fawn stamp for the snowy background with Hero Arts Unicorn White pigment ink. 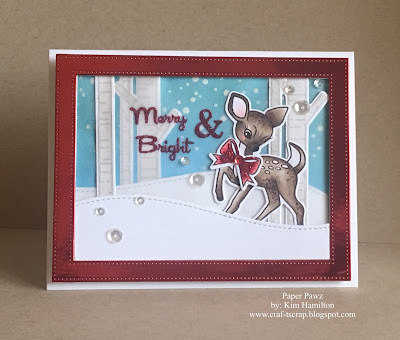 I then managed to mess-up my sentiment which was originally supposed to go directly on the card... My solution was to double-up a small Lawn Fawn tag die and I like my fix, LOL! It gives the card a little more colour. I hope those of you celebrating had a wonderful long-weekend. So here is my project featuring items from those orders! I die cut the Leaping Deer from Ellen Hutson on my panel then from glitter paper and did a die cut insert. I also die cut the Simon Says Stamp Bubble Breeze die in the lower left hand corner and placed a small piece of silver glitter paper behind the panel. 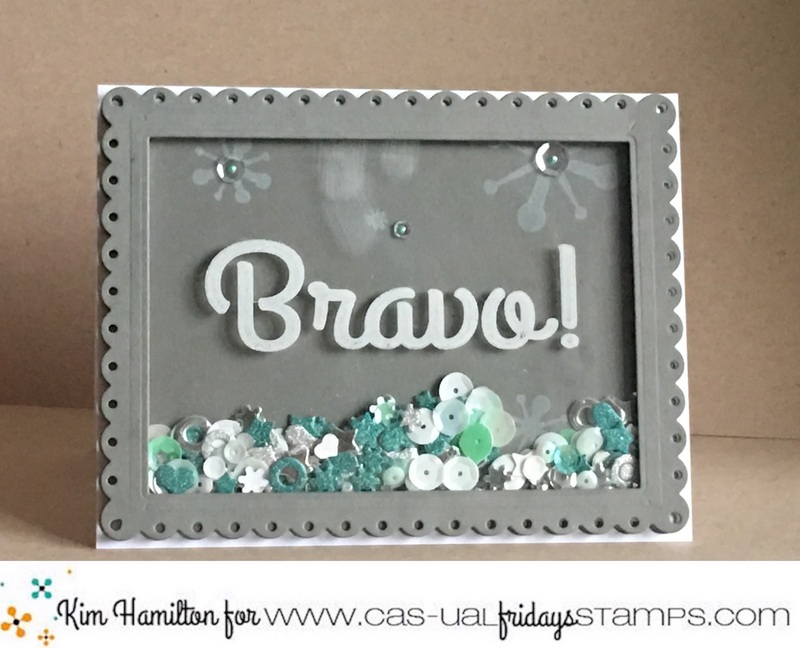 The sentiment from Papertray Ink and the Casual Fridays snowflakes were embossed with the Simon Says Stamp fine silver embossing powder. I then topped everything off with my first set of Lucy Abrams sequins in the Winter Mint (I love this mix). 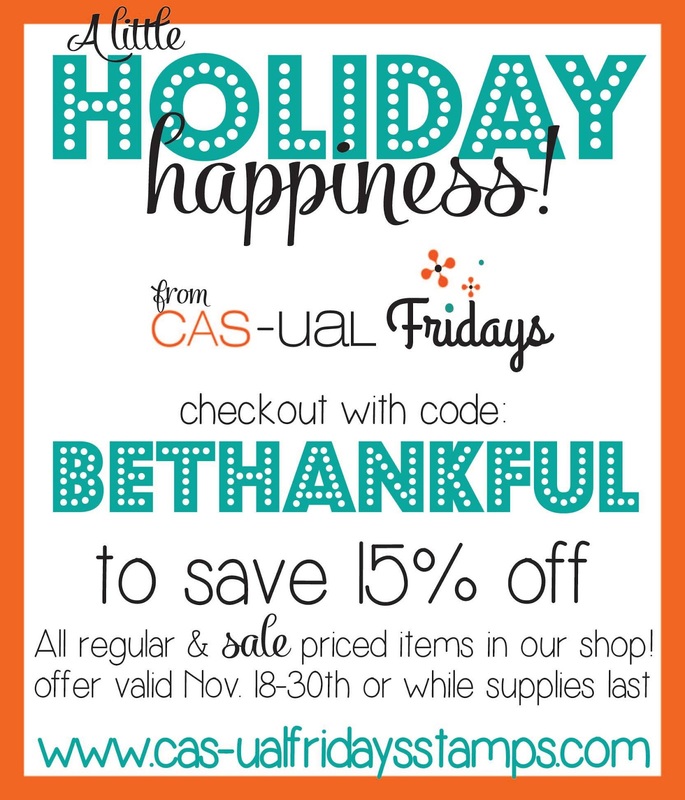 Time for a new challenge over at Cas-ual Fridays :) The theme is Be Thankful! American Thanksgiving is next week and what a better time to reflect and be thankful then now! We celebrate Thanksgiving in October here in Canada but I would do a repeat anyday! 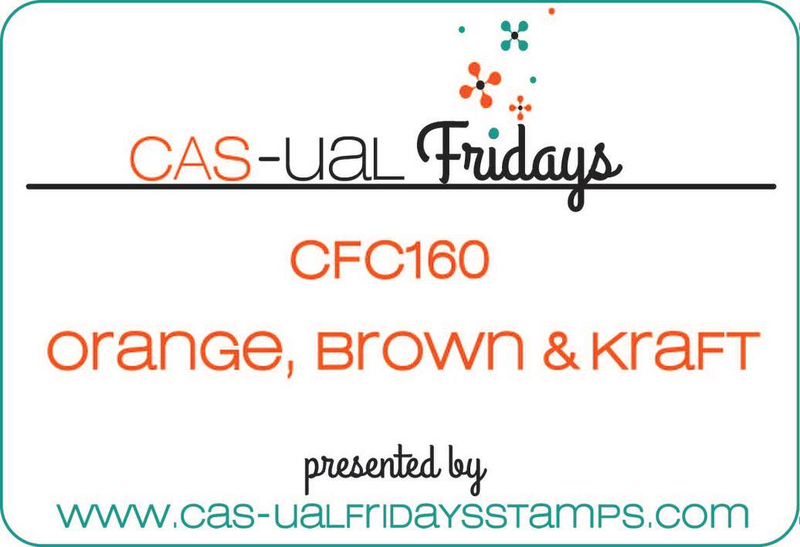 But first, Michelle has a wonderful discount for you over at Casual Fridays Stamps to celebrate this time of year! Go on over, the savings will last while supplies do or until November 30th!! 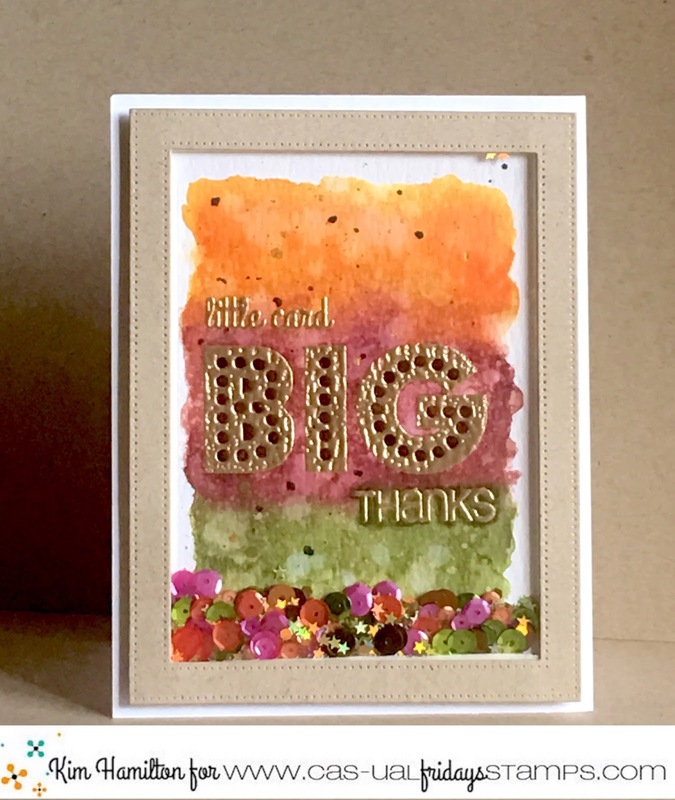 I used stamps from the Thanks and Wallflower sets and embossed them in gold (love gold embossing this time of year) I then watered down Distress Inks in Ripe Persimmon, Aged Mahogany and Peeled Paint and painted on top of the embossing. I had never used this color mix and I like it! I then turned it into a shaker card with a mix of Pretty Pink Posh Sequins. 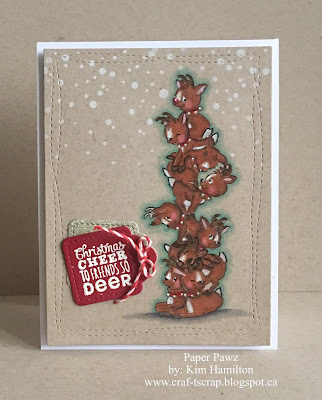 I seem to be getting my Christmas on lately with the newest Lawn Fawn release! Again, I am a sucker for critters! For this one I started with a piece of watercolour cardstock and die cut it with the Snowy Backdrop die (released last year) with a mix of Salty Ocean, Weathered Wood and Faded Jeans Distress Inks. I sprayed the panel with my Distress Sprayer and reapplied for more texture. I then decided to die cut a piece of vellum to mute the colour just slightly. 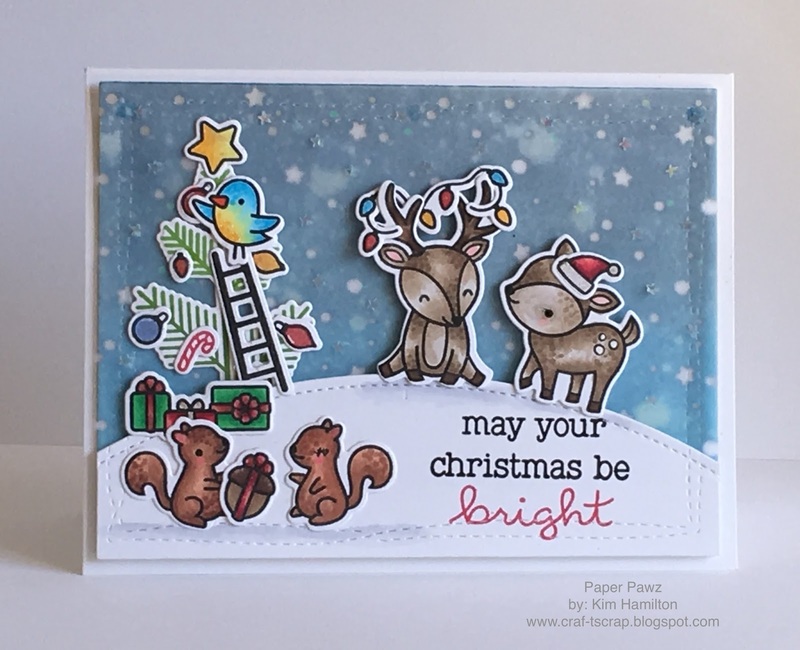 I stamped my images from the Lawn Fawn Cheery Christmas (using my Misti to double stamp for crisper lines) and coloured them with my Copics. I used my Lawn Fawn Simple Stitched Hillside Borders for the snow. I love these little critters but I must say the squirrels are my absolute favourites! I love fall, love everything about it. I love the colours, the fresh air and I just wish we could have fall until April but unfortunately winter follows, lol!!! The challenge over at the Simon Says Flickr Challenge page is fall colours! 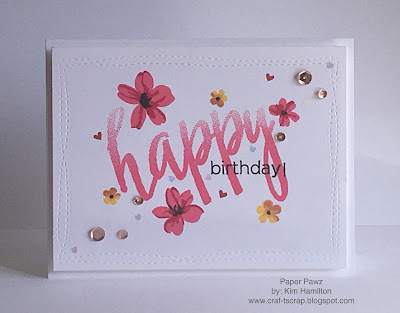 I used the leaves from the Simon Says Stamp Spring Flowers stamp set (seriously, one of my favourites!). I coloured the leaves with Copic markers in a variety of fall colours, I then used the matching dies. 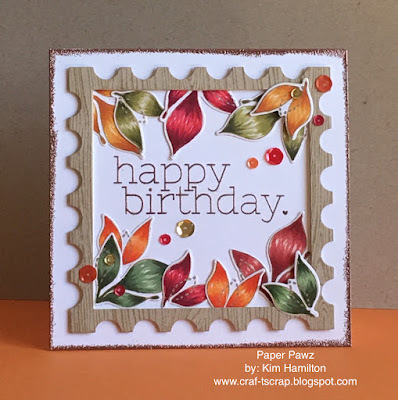 I die cut a postage stamp frame out of Kraft cardstock and stamped a woodgrain background stamp in MFT Hot Fudge. I cut my card base and embossed the sentiment from the Birthday Wishes stamp set (also SSS) and used Cooper embossing powder. I glued my leaves and topped it off with Pretty Pink Posh sequins! Having such fun with my new Lawn Fawn products! I am even jumping into holiday projects full force! These critters are just too cute! I started by die cutting all of my "frame" and background elements. I die cut the background in light turquoise cardstock and stamped the snow from the Lawn Fawn Snow Cool set and white embossed. I added some Stormy Sky Distress Inks to add dimension. I then die cut two of the leafy tree portrait die, one with Lawn Fawn pattern paper and one from watercolour cardstock. I then used a mix of Distress Inks to "grey out" the tree to make it look wintery. I sprayed it with some water for texture and cut just the tree out then glued it to the pattern paper tree. 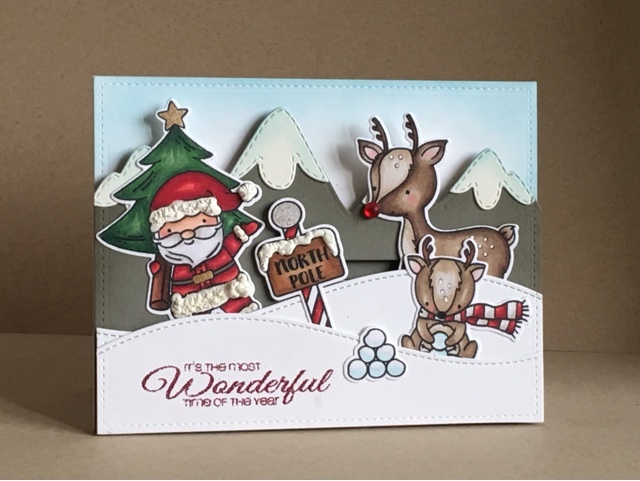 I also die cut some snow hills also using Lawn Fawn dies. My stamps are a mix from both Cheery Christmas and Snow Cool coloured with Copics. 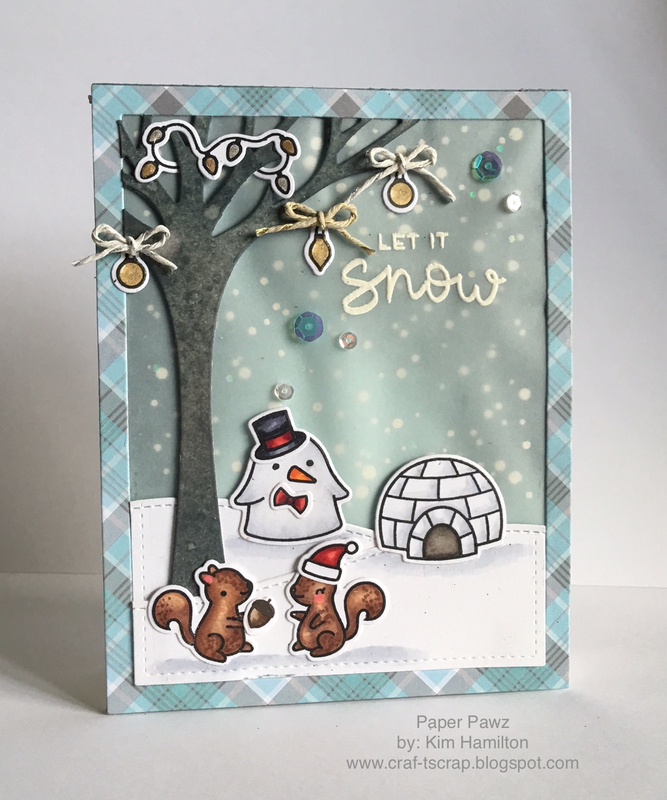 I used some vellum to balance the snow background. I was so careful to glue it so it wouldn't warp but alas, I added glue for my sequins and yes, it warped!! So, please don't be upset with me for featuring Christmas tags already! Lol. 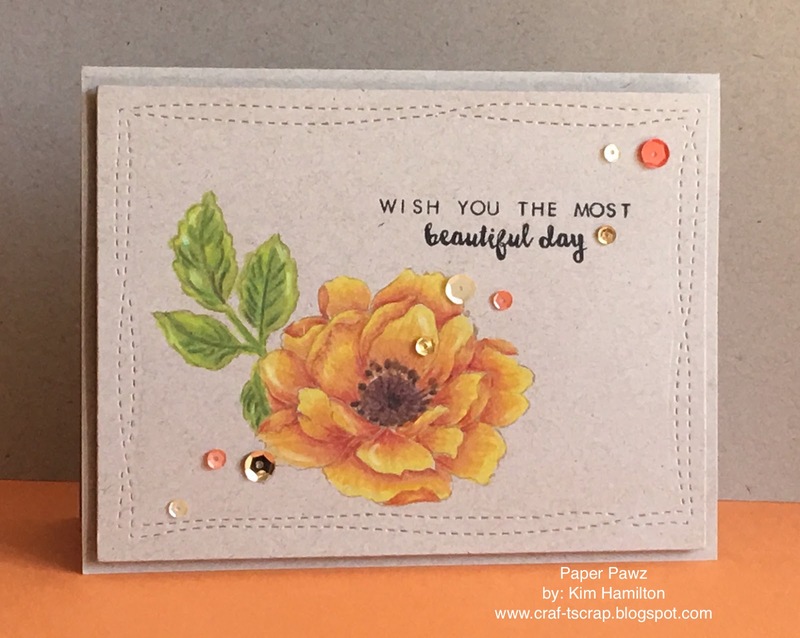 I just could't resist playing with these new Avery Elle stamps! Ugh, aren't the cat and dog too sweet! I am a huge animal lover and when buying stamps if they feature any kind of critter I am there! 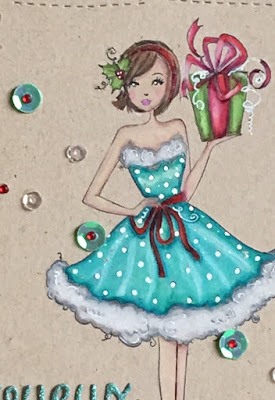 I Copic coloured my images from Dear Santa and Happy Howl-idays I then used sentiments from Dear Santa for both tags. 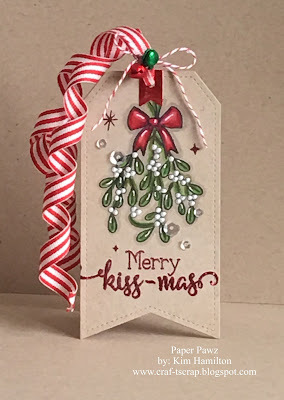 I used MFT Hybrid Inks in Black, Wild Cherry and Gumdrop Green to match my Christmas colours. 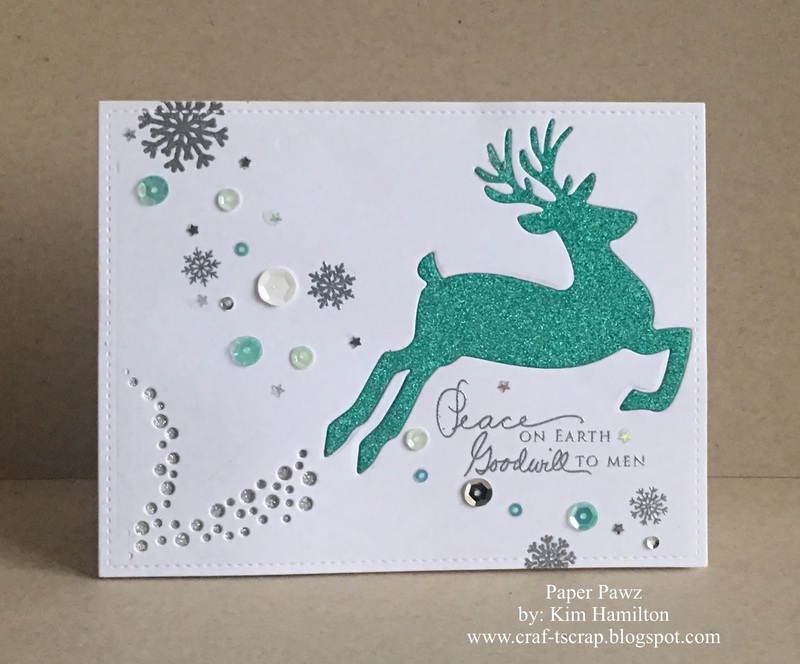 I also used images from Retro Ornaments, also by Avery Elle for the (I guess snowflakes) on the cat tag and I used SSS Maliblue Ink for the snowflakes on both. For accents I used Gellyroller pens in white, black and clear star. 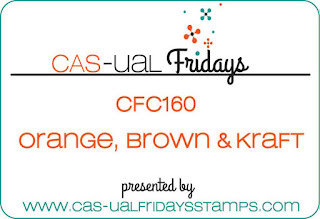 Time for a new challenge over at CAS-ual Fridays :) CFC156 Dimension and Bling!!! 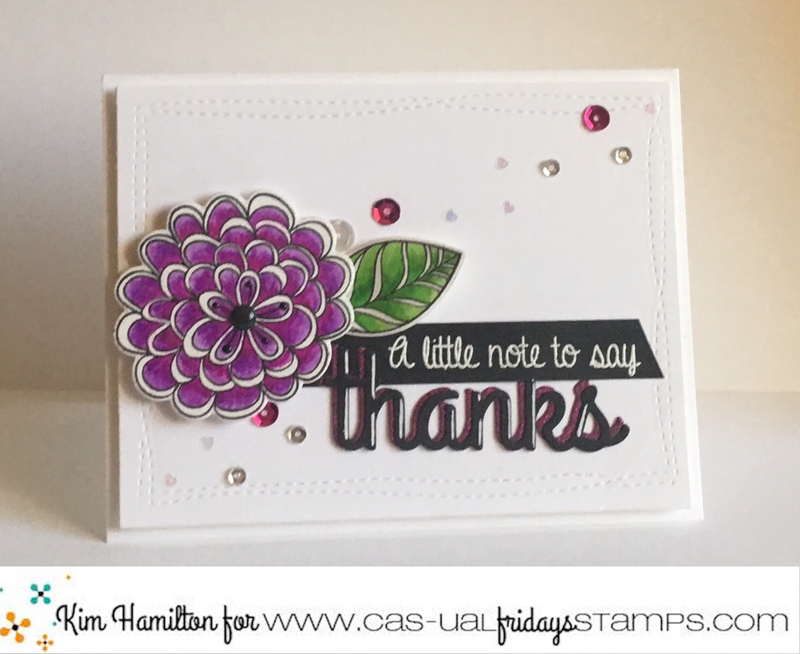 I think I am happily obsessed with the Pretty Posies stamp set by CAS-ual Fridays. I just love the lines of these flowers! I used my Zig Clean Color markers for this one with purples! Rare for me, lol! 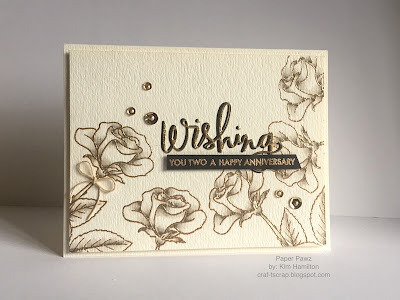 The smaller of the two sentiments is also from Pretty Posies that I embossed in white on black cardstock. 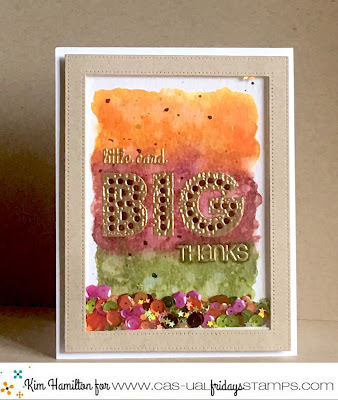 I then die cut two of the Thanks sentiment from the Smiling Fri-dies in black and in purple glitter cardstock. 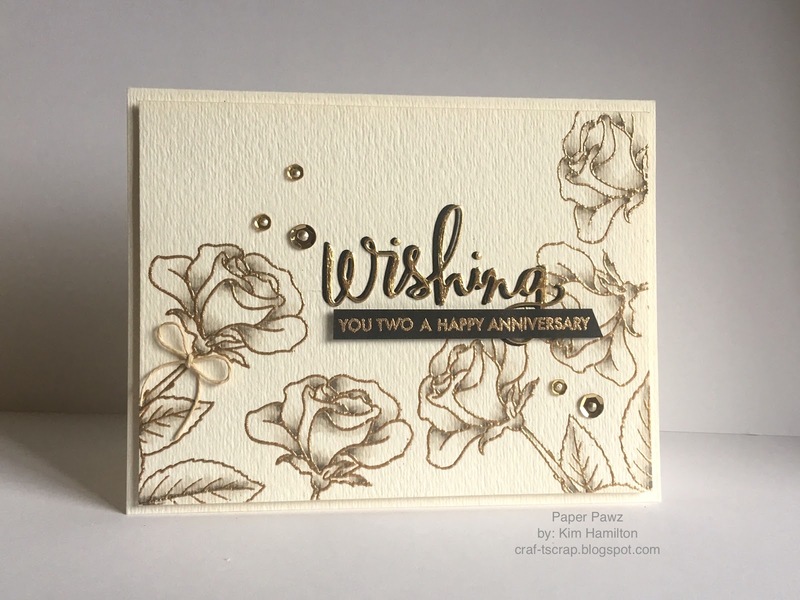 I poped-up my flower on the card with foam tape for dimension and did the same to the leaf but only on the end to curl it up a little. I then finished it off with some sequins for bling! I then felt the Thanks was a bit washed out so I used my white gellyroller to add a little dimension on the black!